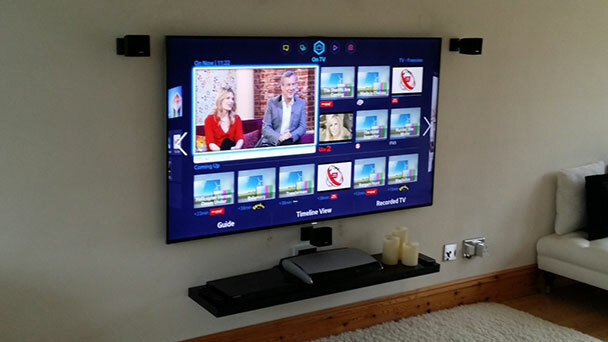 We supplied and Wall hung A Samsung 65″ smart LED screen into our clients home in berkshire, Replacing and upgrading there old Pioneer plasma screen. The main challenge we faced here is re-sighting all of the cables so they could not been seen. All of our HDMI and speaker cabling are hidden into the cavity walls, so that none of these cables were seen and completly hidden making for a neat installation. 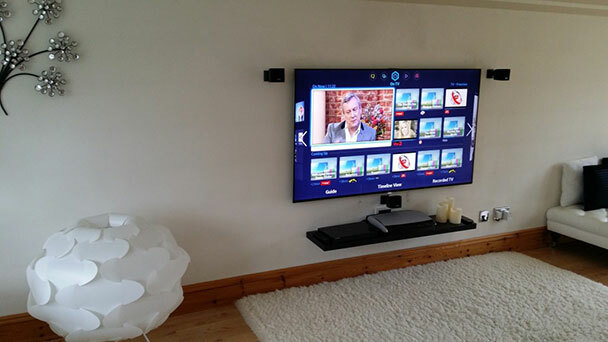 Adding to this stylish effect we used a slim line wall bracket to bring this smart TV as close back to the wall as we possible could. 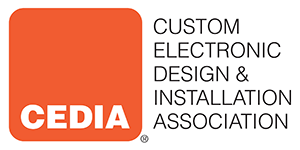 Once our installation was complete we then carried out a complete set-up of all of the Smart TV functions and features whilst demonstrating this to our customer.